TBA General Auditions will be taking place Feb 9-11, 2019. 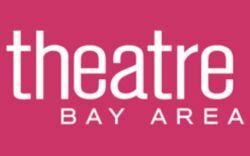 For more than two decades, the Theatre Bay Area General Auditions and Regional Auditions have provided an opportunity for newcomers and veteran actors alike to showcase their talent for scores of local directors, casting directors and representatives of theatres seeking to cast their shows. All TBA Individual Members in good standing are eligible to apply to be seen at the General and Regional Auditions. Spaces are limited, so selection is by lottery.